Now a days, Website is very important for a company and best web hosting is important for the website. Web site needs good web hosting to keep its files and distributes to its client or customers world wide when they visit the site. Which Hosting package do you Need for your website? Best Web Hosting Service Details for shared hosting, wordpress hosting, vps hosting and dedicated hosting. InMotion Hosting has excellent uptime. The severs has excellent managed wordPress installation and plugins installation options. All hosting plans offer unlimited email featurers. InMotion Hosting offers money-back guarantee also. The hosting plans do not have Windows servers. Built in site builder is not good enough. You should create separate logins for all add-ons or domains. InMotion Hosting is the best choice website owners. The hosting plans have many free tools for wordpress base site building. HostGator is an excellent web hosting company for shared & dedicated plans. Useful Weebly site-building scripts. No Windows-based VPS hosting. Customer care delay 3/4 days to week. HostGator gives you all the tools to craft attractive, functional websites, but the interface requires plenty searching to find your expected options. DreamHost offers lots of security features with their hosting packages. 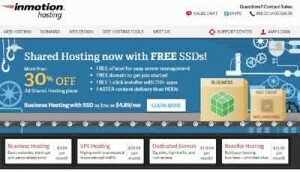 Very good vps hosting service and domain-management tools. Unlimited bandwidth per month. 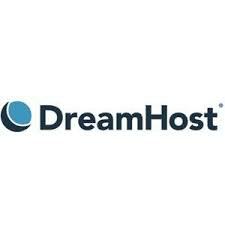 DreamHost offers Cloud storage plans. Money-back guarantee for all packages. They do not provide site builder facilities. Lacks Windows-based servers is another issue. Dreamhost offers perfect balance of features and prices, these website hosting is for those people who knows hosting management very well. Building a easy website with CMS is difficult from DreamHost web hosting. Hostwinds has excellent VPS hosting packages. They provide 24/7 customer service. Available Linux- or Windows-based server packages. You can ejoy Unlimited email and monthly bandwidth. Managing WordPress hosting is not easy for beginners. It is very Difficult-to-find cancellation option. Hostwinds web hosting company offers robust Web hosting options, especially for vps hosting. Bluehost is one of the Best web Hosting company using packages worldwide. BlueHost provides Wide range of Web hosting packages. Proven uptime for hosting servers. They have Easy-to-use interface and Weebly site building software. Blue hosting has excellent control panel or whm for vps or dedicated servers. Excellent uptime & website-building software, Bluehost makes it easy to create attractive, functional, and stable pages for your business. Liquid web hosting company offers Linux and Windows-based servers for any kind of website. Very good VPS and dedicated hosting packages. Liquid shared hosting and wordpress web hosting are expensive. Liquid Web hosting is a easy to use, Nice customer service, this hosting is good for dedicated and VPS hosting. Godday is one of the best web hosting company with maximum uptime. Excellent 24/7 customer support through chat or tickets. Godaddy has both Windows- and Linux-based server. Website builder is not free. 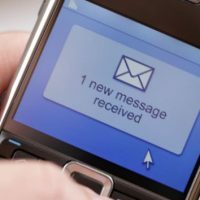 Limited wordpress features and email. GoDaddy provides best Web hosting service with highest uptime; really very good customer support. and easy website builder. Hosting space is limited to 25gb and bandwidth is unlimited according to your description but big volume is will be halt for bot or unauthorized bandwidth uses, sever side requests are limited also. Ipage web hosting is good for low volume traffic website. If you have more than 100000 visitor per month do not take this hosting. Media Temple offers a wide range of website-hosting packages for shared, wordpress, vps and dedicated. No Windows-based servers. VPS and dedicated server packages are expensive. They do not have so many website building tools. Media Temple lets you easily build Linux base websites, a few missteps keep Media Temple from ranking among the elite Web hosts. 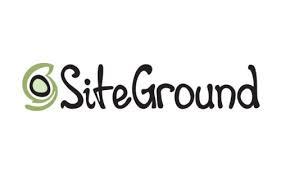 Siteground provides CloudFlare for improved performance and security of the website. they have Automatic backups option for hosting plans. You can choose server location to distribute files to specific localized visitors. Very nice customer service. Hosting packages don’t offer a lot of space, bandwidth. Siteground does not offer month-to-month shared hosting plans. No Windows server options. Though Siteground provide low space or bandwidth but excellent website security and customer service, they have tutorials to make this Web host extremely friendly for small businesses and new users. Best web hosting services are excellent choice for start up company or webmasters of small and big companies located in USA, Canada, UK, Australia, Ireland, Singapore, Bangladesh, India, Pakistan, Nepal, Bhutan, Sri Lanka, Afganistan, Malaysia, Brazil, Russia, France, Germany, Mexico, New Zealand and many more countries. You should have paypal, master card, skrill or any other international payment system to pay for hosting service each month.